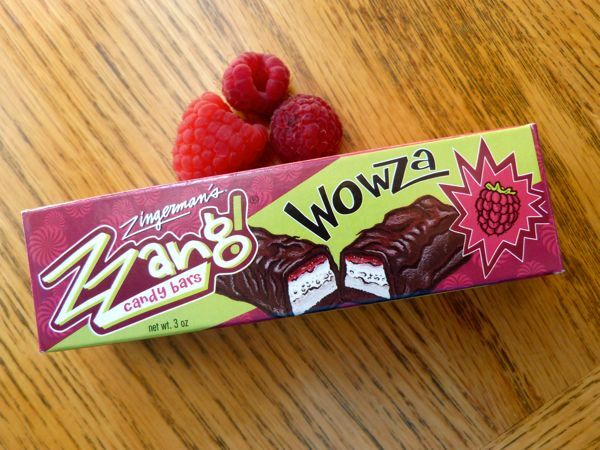 Thanks to a friend's recent trip to Michigan, today I was able to sample a WowZa bar from Zingerman's (deli/store in Ann Arbor, MI). 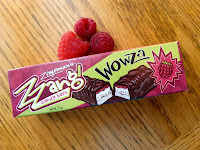 The bar contained layers of raspberry chocolate ganache, raspberry preserves, and fresh raspberry marshmallow nougat, and was covered in dark chocolate. 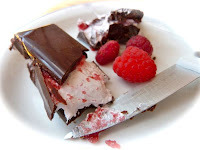 The dark chocolate helped tone down the cotton-candy level sweetness a bit. Later in the day I drove into San Francisco. The America's Cup (sailing) races were still in progress on San Francisco Bay this week/month, and Nespresso (Nestle) has been a major sponsor. 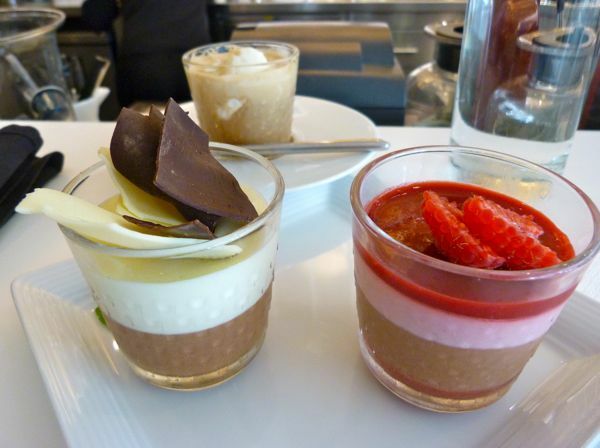 I had lunch at a Nespresso boutique and bar near Union Square, and taste-tested (for a future chocolate of the day) a duo of diminutive chocolate mousses -- one with raspberry and chocolate layers, the second mousse incorporated white chocolate and milk chocolate -- and a small shot of coffee over vanilla ice cream. 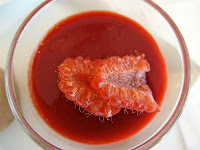 The smaller portion sizes made it possible to enjoy these lovely flavor combinations without suffering from sugar overload. I'll be back.